Google has takes a positive step after getting various criticisms on internet over violation of its own Search Engine Ranking Position (SERP) Terms and Conditions to gain more popularity and ranking on its own Search Engine "Google" for one of its own product Google Chrome. According to the story unveiled from SEOBook about "Pay Per Post (PPP) Campaign" tactics from Google to market Google Chrome on various low end profile Blogs. 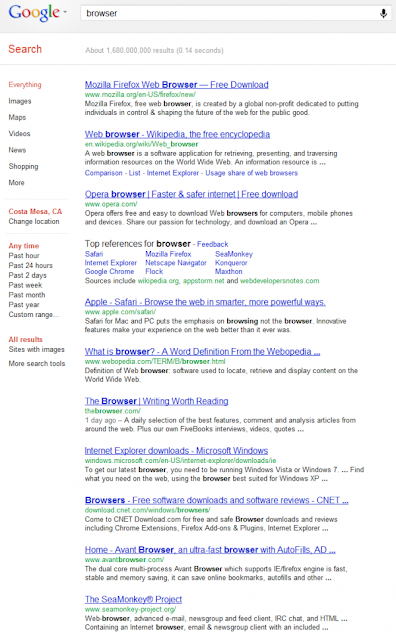 Now Google has punishes itself by demoting its own ranking on search engine results. 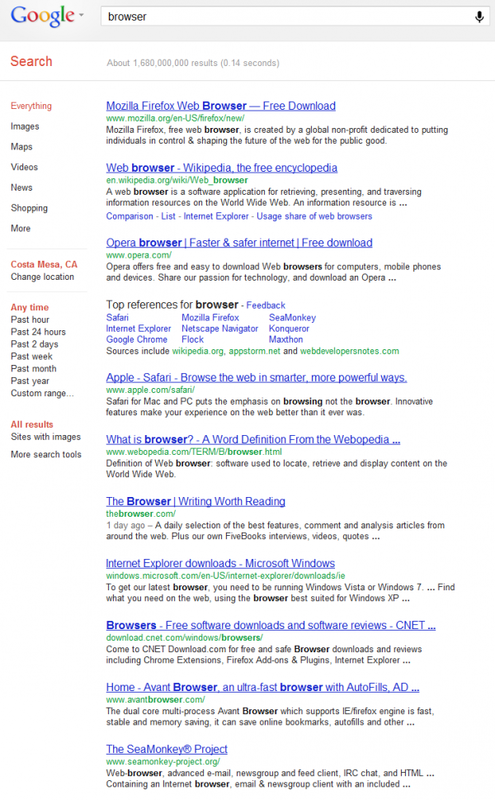 For the next 60 days users won't be able to see any kind of ads for Chrome when searching for keyword 'browser' on Google.com. 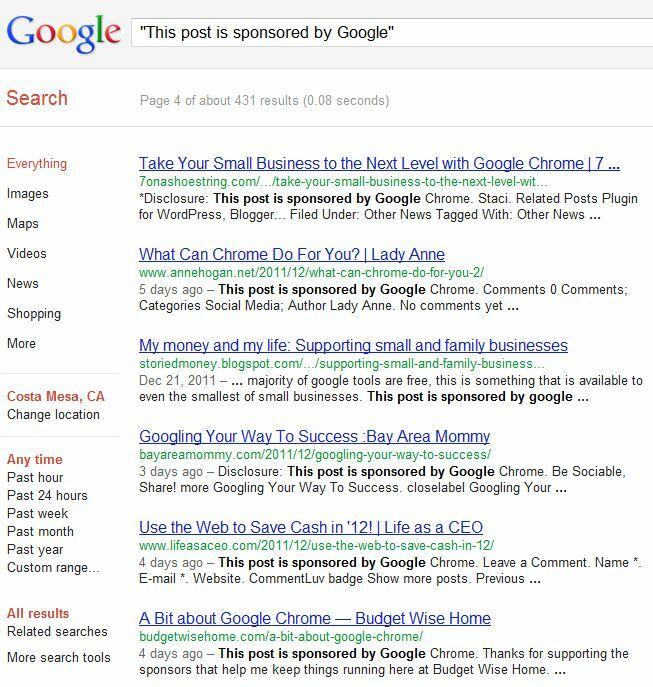 This step has been taken from Google for its paid ads campaign; Google had been paying various bloggers to create what would be considered 'low quality content' against the company's terms of service. 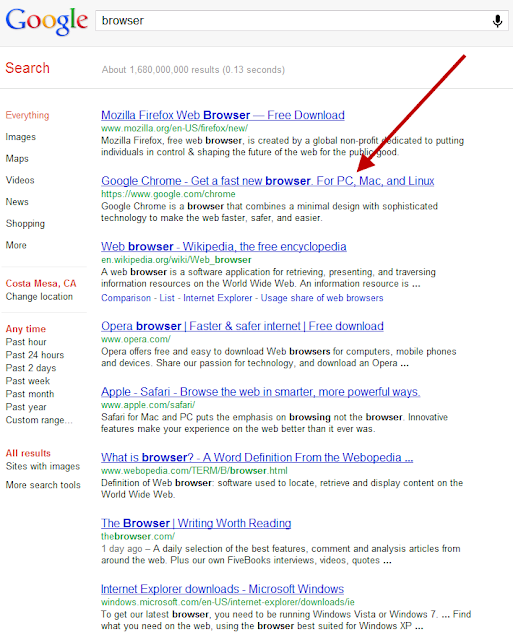 By paying bloggers to post hyperlinks to the Chrome download page, Google was able to drive itself to a higher position in its own search results. The only problem was that this violated its own terms of service for Paid Links. 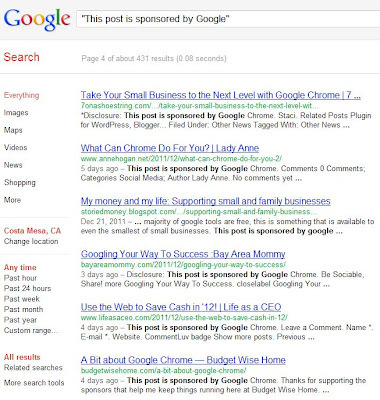 The issue was first highlighted by one of SEOBook author in which he mentioned that how come a keyword for “This post is sponsored by Google” brings back over 400 search pages on Google, but now Google has taken a serious and major step by demoting and removing all search results of itself and various other website which were involved in that "Pay Per Post" (PPP) campaign. Google have also dropped the PageRank value of the website http://www.google.com/chrome contain 9 (PR), remembered reducing the PageRank value is not the same as removing or banning the page from Google Search. 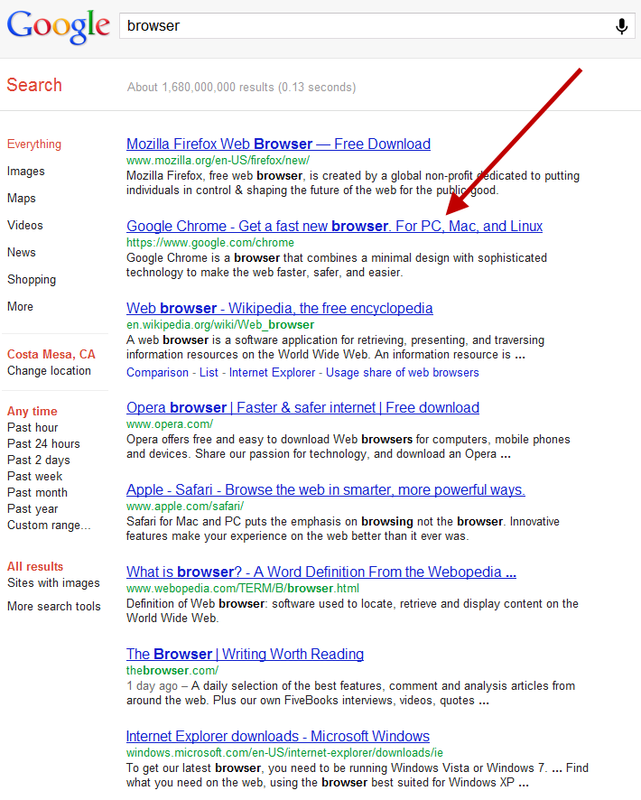 however, a lower PageRank value will reduce its chances to get higher rank for certain keywords, not only this Google have also dropped the ranking position of the webpage from top to lower grade, previously http://www.google.com/chrome was ranking on top 10 search results but now you have to go to the fifth page of results to find it, ranked in position 55 and sometime we have also seen the page lower to as low at 93. I think it’s really a good and positive step from Google and its team to defend itself and to clean Search Engine from all these kind of approaches and campaign in near future and it will helps Google to maintain its reputation and to become and remain number one Search Engine of Internet for decades.